Most people know that to make money gambling you need to be placing bets that have a higher probability of success than the odds at which you back them at. Over time good luck and bad luck will even itself out and it will be the sum of these probabilities that decide your fate. If you do indeed have an edge in the bets you place, you should win money. I use the word should instead of will for a simple reason. It is possible to have an edge on every bet you place but still lose money. The size of your Betting Bank and Bankroll Management skills are also critical factors in your success or otherwise. Let’s say your Betting Bank is €1,000. Your kind bookmaker offers you 2.05 on heads in a coin toss. This offer is available for 50,000 coin flips, but you can only use your original bank, and if you lose it, you’re done. How much should you bet? You edge is not huge, but is very real, and with proper Bankroll Management should result in huge profits after the 50,000 flips. I set up a Monte Carlo spreadsheet to investigate. Excel has a random number generator which I use to simulate the toss of a coin. I enter the probability of success of 50% and the odds I’m getting of 2.05 and it will generate a 1 for heads and 0 for tails. I also enter my betting bank as €1000 and the percentage of my bank that I wish to stake on each bet. First off I enter to return 10% of my betting bank on each bet. With my bank at €1000 and my odds 2.05 this would mean a stake of €48.78 on the first bet (I’m staking to return €100 which is 10% of my bank). My stake is thus only 4.87% of my bank which might seem reasonably small considering I have a 50% chance of success. I graph the results after each 1000 bets. In this run my bank increased to €209,995 after 37,000 flips. You would therefore presume that betting to return 10% of your bank is the way to go. Alas a big down swing happens soon after and my bank hit a low of just €46 after 48,000 bets. It recovered slightly to €290 after the 50,000 coin tosses. I hit refresh to produce another set of random numbers and this time my betting bank peaked at €5,200 after 2,000 bets but went downhill and was just €1.18 after 50,000 bets. Both times the overall strike rate ended within 0.1% of the expected 50% which should ensure a profit as getting odds of 2.05 I only need a 48.78% strike rate with level stakes to break even. I ran it a few more times and each time I ended up with less than my starting bank after 50,000 bets. The reason for the massive fluctuations in the bank is that I was staking to high a percentage on each bet so the inevitable bad run will decimate my bank, regardless of the fact I had an overall edge on the bets. In the first run everything went smoothly for 37,000 bets which would lead most to believe their method was a safe one. When things are going so well it’s hard to believe a down swing could be so bad to bust you, especially with such a big sample size. This example shows that having a profitable angle isn’t enough if your bankroll management is bad. Kelly Staking, which I talk about in my article about staking plans, would suggest staking 2.38% of my bank, which would be equivalent to staking to return 4.879% (2.38*2.05) of my bank. I ran this simulation 10 times, and the worst end result was a bank of €160,000. Clearly this is a much better way to go, but as noted in my staking plans article, it’s not so simple in real life. Kelly Staking is optimal if you know the true odds of each bet. This of course is normally impossible, as in most cases you can only make an estimate, and I believe its human nature to overestimate our edge in most things. Unless you have access to valuable information the market hasn’t accounted for, I would suggest you will at best be only as good as the market. For instance if a horse is 2.0 on Betfair just before the off and you rate it a 1.8 shot. This means you think it has a 55.55% chance of winning and the market thinks it has a 50% chance. If you’re pretty good the true price is probably more like 1.9 or a 52.63% chance. In my daily betting I find that the best I can hope for is that the true probability is the midpoint of my estimate and the estimate of the market. It is vital to keep this in mind when coming up with your staking plan. Rather than just using the midpoint of your price and the markets, an analysis of your past results should show you what your real edge is on certain bet types, and providing the sample size is sufficient this would be a good figure to use. Bear in mind past success doesn’t guarantee the future will be the same, so be cautious with this method too. In the above example, using Kelly staking and working on the presumption that your probability is correct, you would be staking to return 22.2% of your bank. If your right and the bet wins 55.55% of the time your profits will go off the scale, if however you only get the 52.63% strike rate I suggested, your in big trouble and will go bust every time. This is despite the fact you clearly have an edge on the market, the problem is, you overestimated it. These are all examples of cases where having an edge is not enough to guarantee a profit. If your stakes are too high your bank will fluctuate wildly and the inevitable bad run, when it comes, will undo all your hard work and your profits. That is not to say you should be ultra conservative, gambling at all is probably not for you if you’re unwilling to take some risks. Your risks should be calculated though, and it’s vital to understand that a long term successful strategy will have many periods of short to medium term loses. 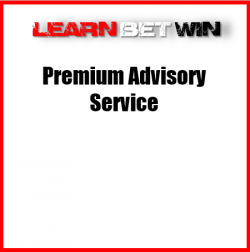 It is important that your betting bank can withstand these bad periods. To show you what types of losing runs you can expect I again set up a Monte Carlo simulation in excel. A probability of 50% will result in a strike rate of 40% or less over a 100 bets about 3% of the time. This means before every bet you place where your long term strike rate is 50% there is a 3% chance that over the next 100 bets you will have 40 winners or less. A 10% strike rate which is 9/1 true odds will result in getting only 1 winner out of a 100 bets about 0.05% of the time. This might seem very rare, and it is, but over the course of 5000 bets on horses who have a true chance of 9/1, you will get a period of 100 bets with only 1 winner about 12% of the time. Again when it happens, and eventually it will, you need to ensure your bank can withstand it. You also need to ensure your Betting Discipline is such that you keep a cool head and don’t do anything stupid. When deciding how much of your bank to stake on a bet, the probability of success, and thus the size of your edge are vital components. Overestimate your edge, and it could turn an otherwise profitable system into a loss making one. I suggest using Kelly Staking as a starting point, but leave your ego out of it when estimating your edge. If the market price is 9.0 and you think it should be 7.0, maybe use 8.0 as its true price when working out your edge. Your estimate of a probability, no matter how good you are, is still just your opinion; the market price is the combined opinion of thousands! Of course the most obvious way to improve your bottom line is to always get the best price which means having multiple betting accounts.